Every student enjoys an exciting field trip outdoors and what better way to do just that than from aboard a sightseeing cruise. Whether your group is learning about art and architecture, historical events such as the Boston Tea Party or plant and animal life in our country’s ecosystems, there are educational cruises waiting to teach and entertain all who board. With more than 70 years experience on Lake Michigan and the Chicago River, Shoreline Sightseeing offers a one-of-a-kind view of the city of Chicago. Whether your group would prefer a 45-minute lake tour or one-hour architecture tour, Shoreline can meet your needs. The Waterfront Adventure Cruise departs from Navy Pier and takes passengers along Chicago’s Lake Michigan shore while they learn about the city’s history, the redirection of the river and the construction of well-known buildings. Architecture Exploration Cruises are more popular among older students. During these cruises, students can see Chicago’s remarkable architecture while learning how the city was rebuilt after the Chicago Fire in 1871. Professionally prepared educational packets are available for download online. Experience Southern Louisiana’s swamplands on a swamp boat tour narrated by a native Cajun guide. This 90-minute tour through the Jean Lafitte National Historical Park and Preserve lets students get up close and personal with plants and creatures that call these wetlands, swamps and bayous home. Accommodations can be made for groups as large as 360. Jean Lafitte Swamp Boat Tours offer a picnic area where school groups are welcome to bring bag lunches. The Milwaukee Boat Line has been hosting student groups for almost 50 years aboard the Iroquois, the oldest passenger vessel still operating on the Great Lakes. This double-decker ship can accommodate up to 150 passengers. 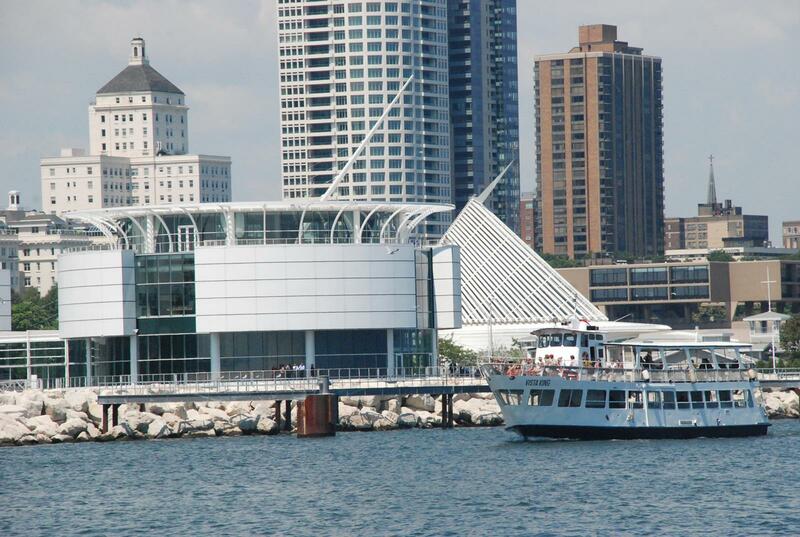 Students aboard this sightseeing cruise can view Milwaukee’s architecture while learning about the city’s history. Complimentary lesson plans can be included in student group tours. See our nation’s capital by water on one of the offerings of the Potomac River Company. The Washington Monuments Cruise lasts 90 minutes roundtrip and consists of breathtaking views of the Washington Monument, Jefferson Memorial and Memorial Bridge. One-way tickets can also be purchased if a 45-minute cruise is preferred. 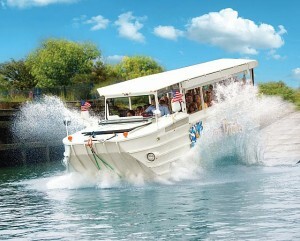 Also offered through Potomac Riverboat Company is the Mount Vernon Cruise. On this narrated cruise, your group can learn about George Washington’s plantation home. Tickets for admission to Mount Vernon can also be purchased. Here your group can visit the museum and education center as well as George Washington’s tomb and an interactive pioneer farm. Large private groups can design custom tours by contacting Potomac Riverboat Company’s group tour coordinator. Circle Line Sightseeing cruises offer a few different options for student groups. The most popular option is the Full Island Cruise, which lasts three hours and provides views of over 100 city sites including the Statue of Liberty. Another option is the 75-minute Liberty Cruise. This cruise takes passengers along the Hudson River to the Statue of Liberty. Along the way students will see sites such as Ellis Island, Freedom Tower, Jersey City and the World Financial Center. There is also a 90-minute option for the Liberty Cruise. Ride the Duck tours are perfect for student groups. Equipped to drive both on land and water, these amphibious vehicles offer the best of both sightseeing options. Cruise through historic streets of cities such as San Francisco and Philadelphia before splashing into the water for a sightseeing cruise. While on board, students will learn about the history, sites and important personalities from the city they are touring. Teacher resource packages are available for all grade levels. Ride the Duck tours are available in Branson, Mo. ; Newport, Ky.; San Francisco; Philadelphia, and Stone Mountain, Ga. For city-specific contact information, visit the Ride the Ducks website. Goodtime III is the largest luxury ship cruising the Cuyahoga River. While aboard the Goodtime III’s school field trip tour, students will learn about the history and economy of Cleveland. During the two-hour cruise, students will also see the largest selection of bridges in the United States. Lesson plans and field trip information are available online. Take a one-hour Harbor Cruise and learn about the historic Seattle harbor while seeing shipping terminals, mountain ranges and vibrant skyline views. Another option is the Locks Cruise where groups will travel from the freshwater fishing communities of Lake Union to the saltwater Puget Sound. Aboard the Tillicum Village Cruise students will cruise to Blake Island while learning about the history of Washington state and Native Americans in the Northwest. This school group tour includes a salmon bake and lunch, art and totem pole tour, and Native American dances and storytelling. Red and White Fleet offers two student field trip cruises. The Golden Gate Bay Cruise is San Francisco’s original sightseeing cruise. While aboard this one-hour cruise, students will learn about the city’s history and sites such as the Golden Gate Bridge, Barbary Coast, Angel Island and Alcatraz Penitentiary. The second option from Red and White Fleet is the Bridge 2 Bridge Cruise. Students on this 90-minute cruise will sail under both spans of the Bay Bridge while learning about San Francisco’s natural history, architecture and Native American culture. Both cruises can accommodate up to 300 students. Upon request the Red and White Fleet can prepare boxed lunches for your school group. Cruise along the Ohio River on the oldest authentic river steamboat in the world, the Belle of Louisville, built two years after the sinking of the Titanic. Named a National Historical Landmark, the Belle offers students a hands-on history of the steamboat era. 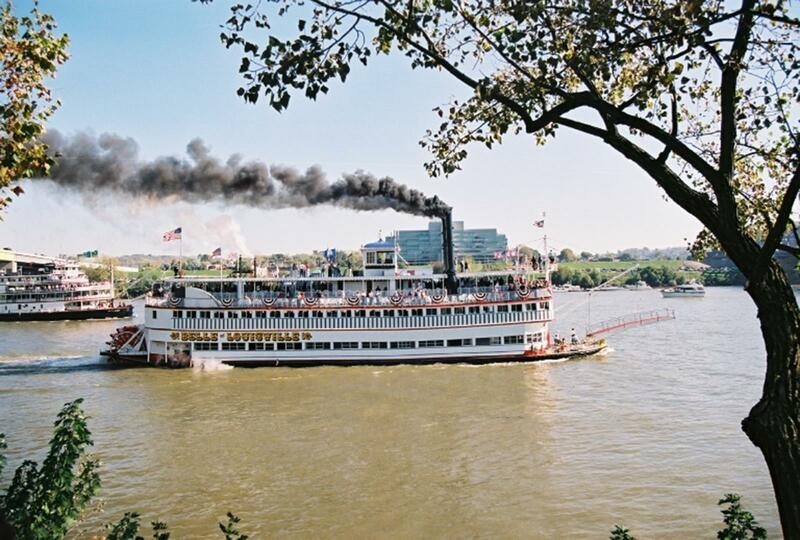 During an hour-and-a-half field trip cruise, students will also learn about Louisville, the Ohio River and the steamboat itself. Contact the Belle of Louisville’s educational director for educational resources that meet your curriculum. Through Boston Harbor Cruises, students can get an up close look at one of Boston’s most treasured landmarks, the USS Constitution. While on the 45-minute USS Constitution Cruise, students will learn about the ship’s history and home in the Charlestown Naval Yard, Bunker Hill Monument and the site of the Boston Tea Party. Boston Harbor Cruises also offer a Boston Tea Party Cruise where students visit the site of the historic event along with the Boston Tea Party Ships and Museum. Here your group can disembark the cruise to tour the ships and recount the events of the famous colonist act. Also offered are Lighthouse Cruises, Charles River and Locks Cruises and Historical Sightseeing Cruises covering important landmarks of the Revolutionary War. Sightseeing harbor cruises through Savannah Riverboat Cruises can be booked for student groups up to 600 people on the Savannah River Queen or Georgia Queen. Both are decorated as they would have been in the early 1900s and offer students a glimpse of an authentic riverboat atmosphere. While cruising the Savannah River, students will learn about the city’s history and important areas of interest. Event specialists can work with educators to design specific educational tours to fit curriculums of student groups.